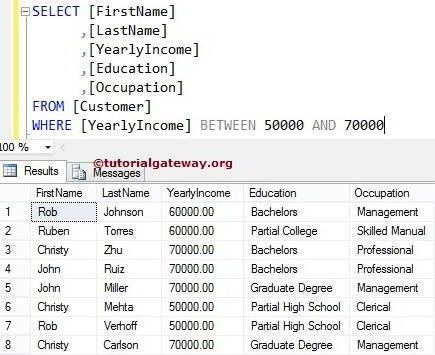 The SQL Between Operator displays the records (or rows) whose values are in between the given values. 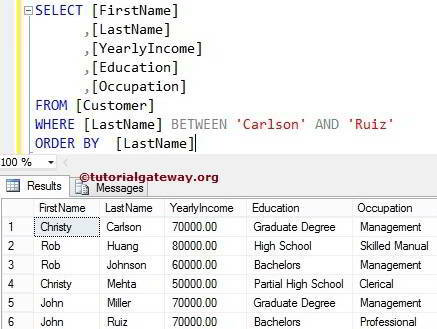 For example, If you want to find the Sales between 18 May 2015 to 19 June 2015 or If you want the Amazon website to display the products whose price range between 1000 to 2500 then, internally we have to use this SQL Between operator. Source: One or more tables present in the Database. 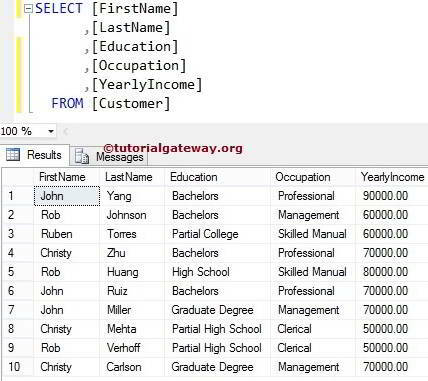 SQL JOINs are used to join multiple table. Values: Here we have to provide the values or expression we want to check against the Column Name. Select Statement will display the records present in between the Value1 and Value2 Including them. TIP: We can also use single character instead of writing the complete name. 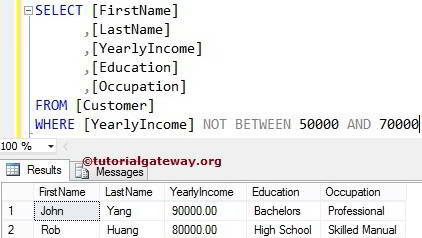 We can also use the NOT Keyword along with the Between operator in Sql Server.